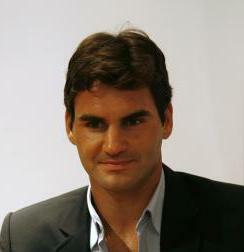 Roger Federer ready to "beat the best"
Celebrities travelling to Hong Kong usually attract lots of attention. Today is Roger Nederer's turn. Before heading to Shanghai for his upcoming matches at the ATP Masters tournament, Roger Federer stopped by Hong Kong to meet the press. When talking about his rivalry with Rafael Nadal and the world's No. 1 spot, the Swiss star showed great confidence despite slipping to No.3 in the world rankings for the first time in nearly seven years. "Obviously he (Nadal) is a stronger player today than a few years ago but the same counts for me even though the ranking has slipped maybe a little bit. "With a few minor adjustments I think I can really beat the best without a problem. Without being arrogant but I know I have the game and I'm playing really well right now," he said. .....The tennis star also opened up to the media about how well he's adapting to family life, looking after his 15-month old twin daughters. "The role as a father is a very important one too, not as important as the mum in the beginning but nevertheless I'm the guy that's catching my daughters from doing naughty things or hurting themselves, so it's very interesting. It's a lot of fun. I'm learning a lot everyday." He said. The tennis star also opened up to the media about how well he's adapting to family life, looking after his 15-month old twin daughters.